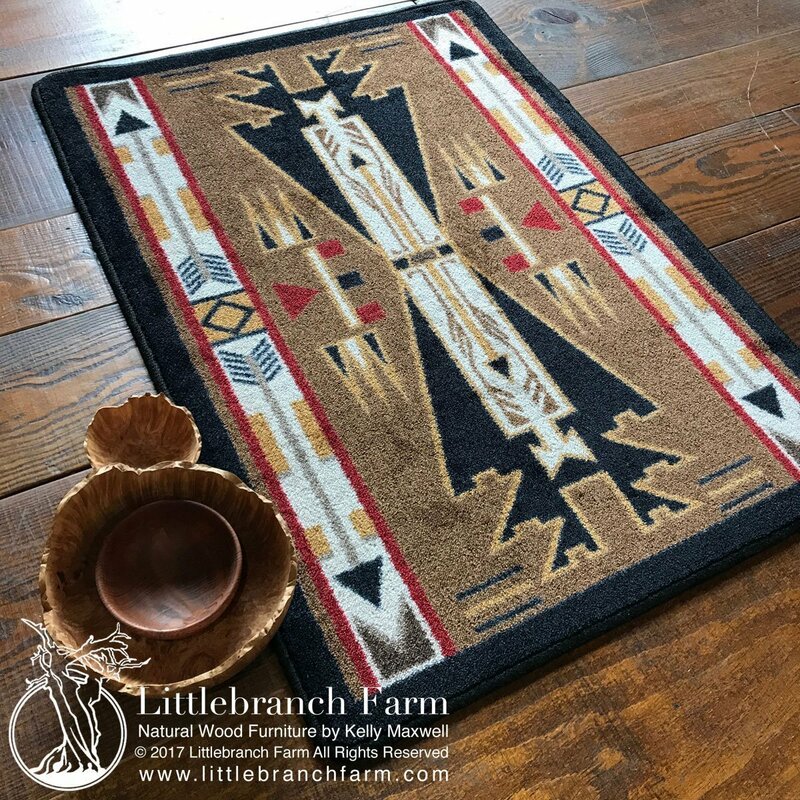 The horse thieves brown rug features vivid colors and made by American Dakota in the USA to order. 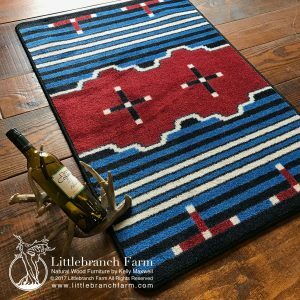 Your one of a kind southwestern area rug will normally ship within two weeks. 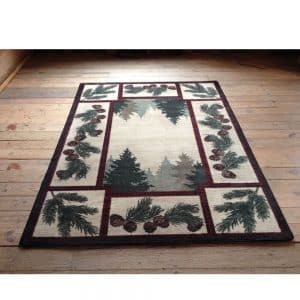 Also, available in six sizes and three vivid colors sure to complement your rustic or cabin decor. 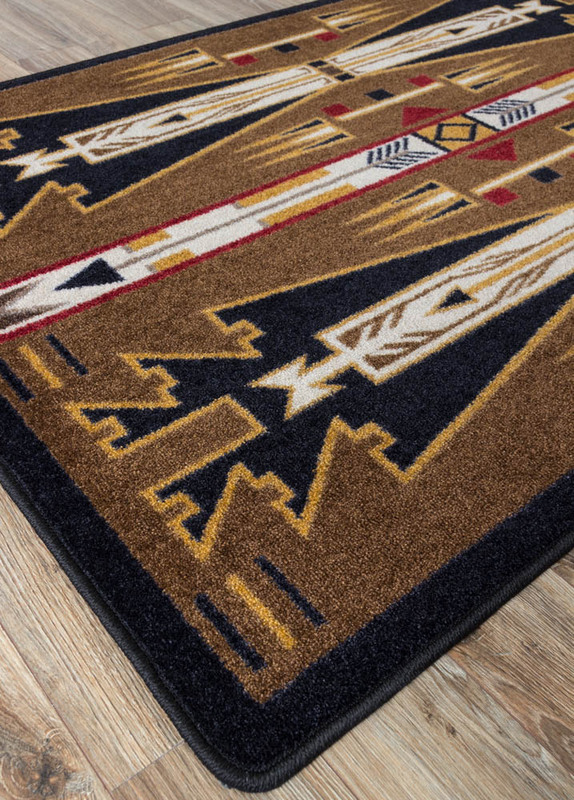 This Southwest rug is not your average area rug. 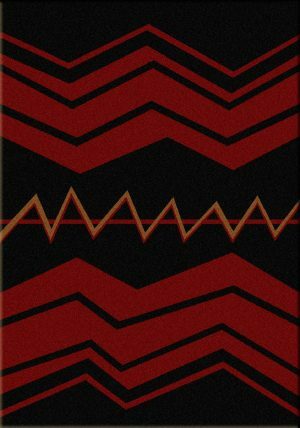 With its inspiration taken from Native Americans storytelling. 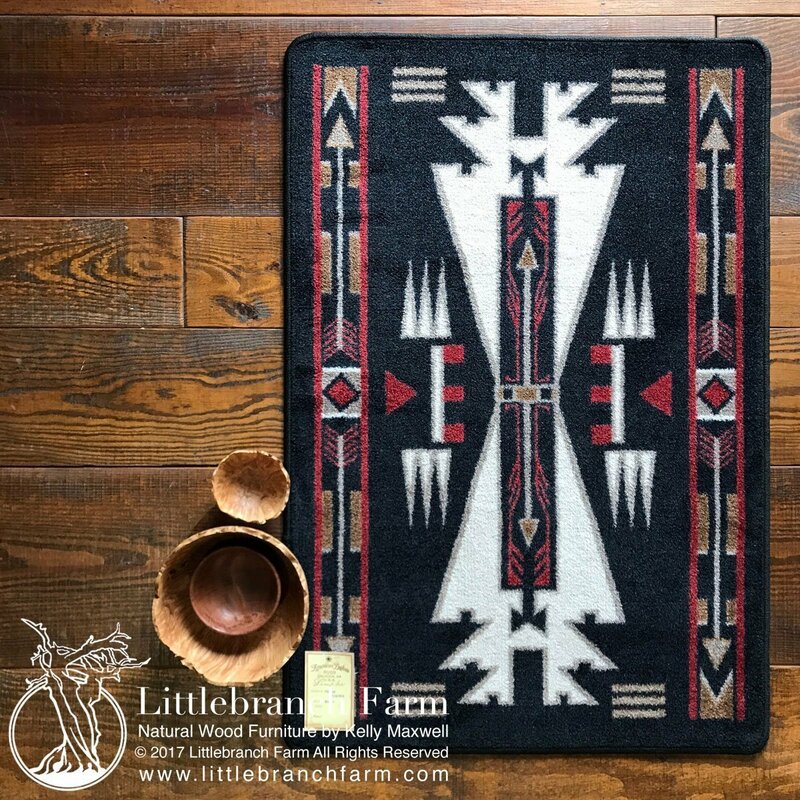 The designs on this southwestern area rug invite you to the story of the two central characters. They are horse thieves back from a raid. 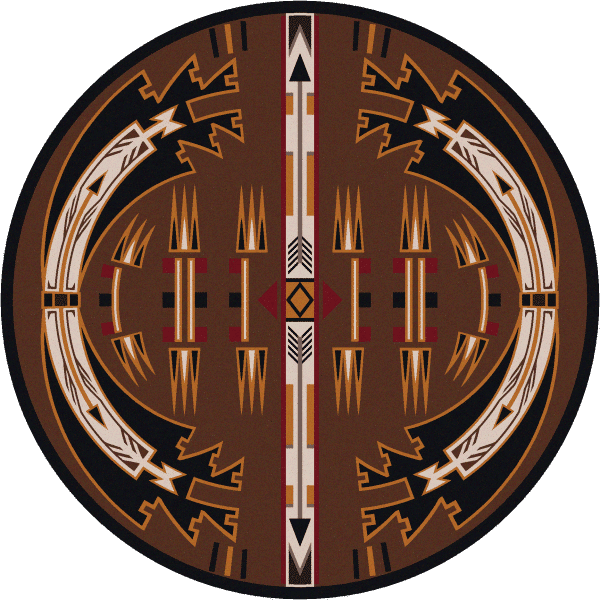 The arrows are another part of the tale. 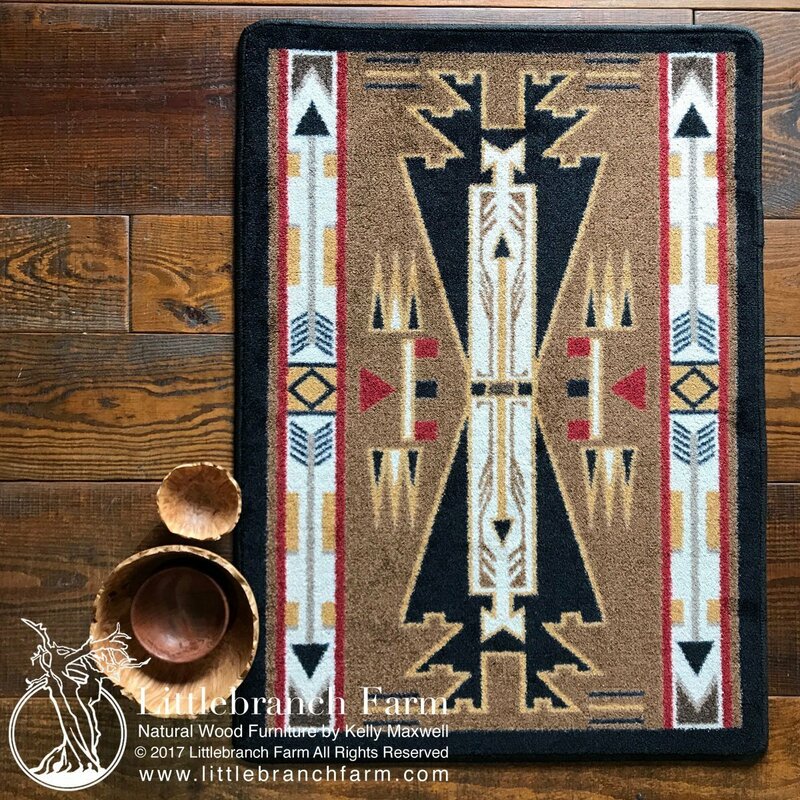 This rug is a conversation starter that will fit perfectly in any rustic home decor. 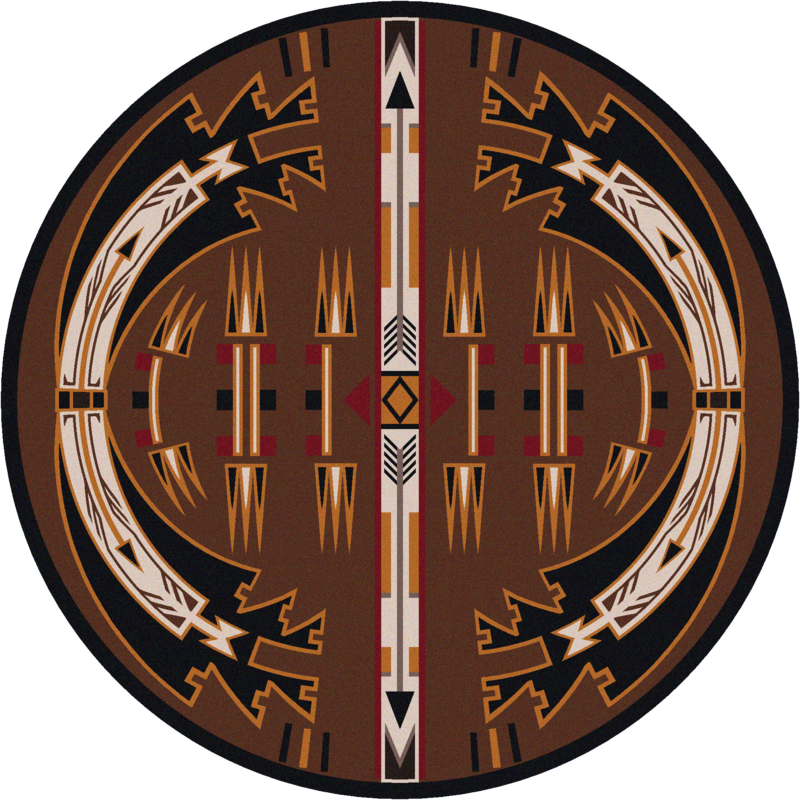 The rich brown complements nicely the rich color tones from our custom natural wood furniture.